On June 7th the Board of Directors held a ribbon cutting ceremony in naming the COHA August Centre in recognition of the August Family Foundation’s support in helping COHA’s vision come to fruition in creating a new space that would integrate all our community outreach programs and administration in a welcoming, warm, and inviting space. “The Board of Directors are pleased to recognize the August Family for their generosity in donating $221,000 to renovate a new space for our community to receive support and resources in a welcoming, warm and comfortable environment. 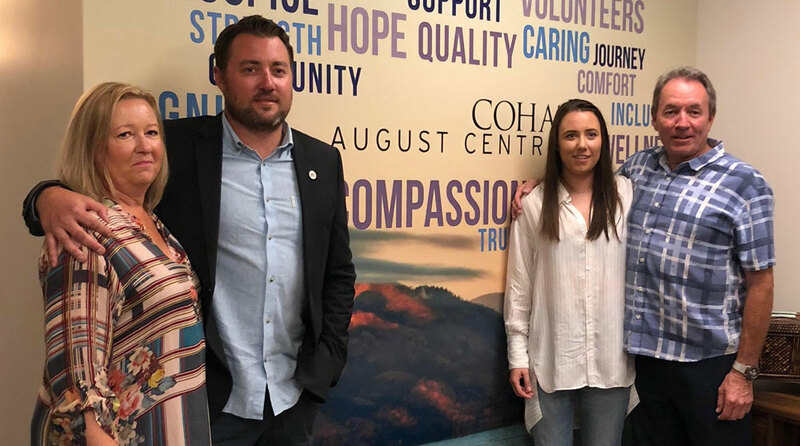 This is an exciting time for COHA to recognize the August Family’s contribution in a significant way” comments Michael Humer, President of the Board of Directors. Entrepreneurs Matt and Michelle August co-founded the August Family Foundation to give back to the community that has given so much to their family legacy in the Central Okanagan. 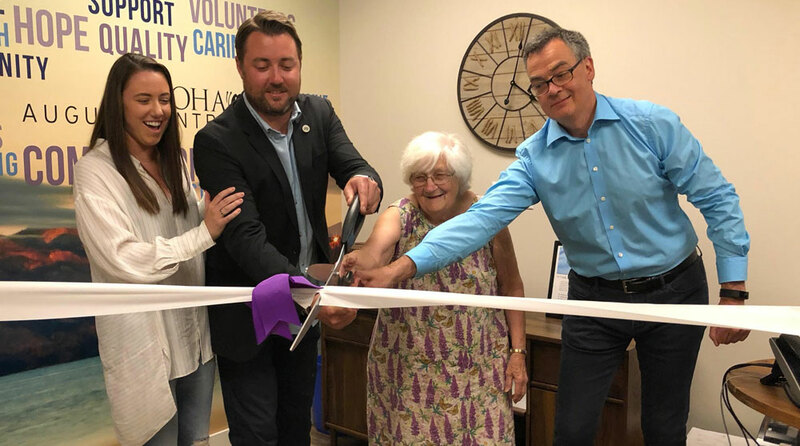 “COHA was the recipient of our Uncle Gary’s fundraising memorial event and the 2016 and 2017 Okanagan Dream Rally to help create a new welcoming space to support the delivery of COHA’s programs and services. Our family is honoured to have the Centre named after us and is privileged to be associated with an organization that recognizes the importance of humanity” said Matt August, August Family Foundation President.